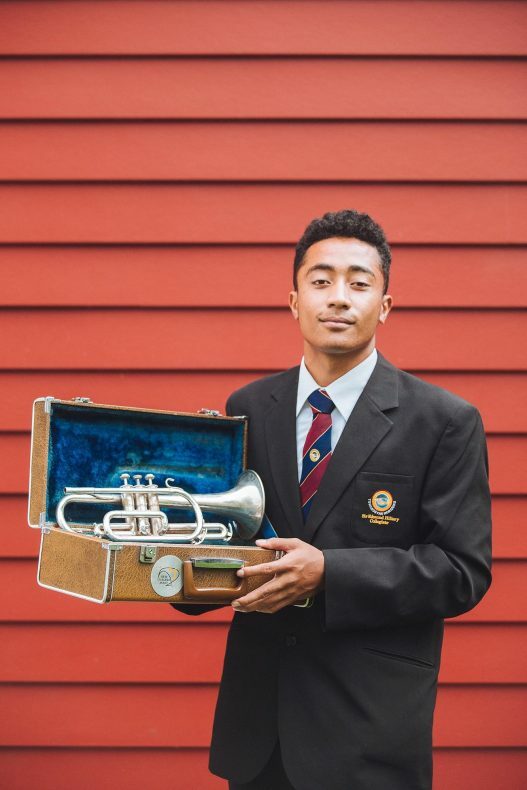 As part of our co-collecting initiative with the Tongan community, students have been considering what truly represents them and counters stereotypical representations. Curator Pacific Art, Nina Tonga highlights some of the students and their selected objects. 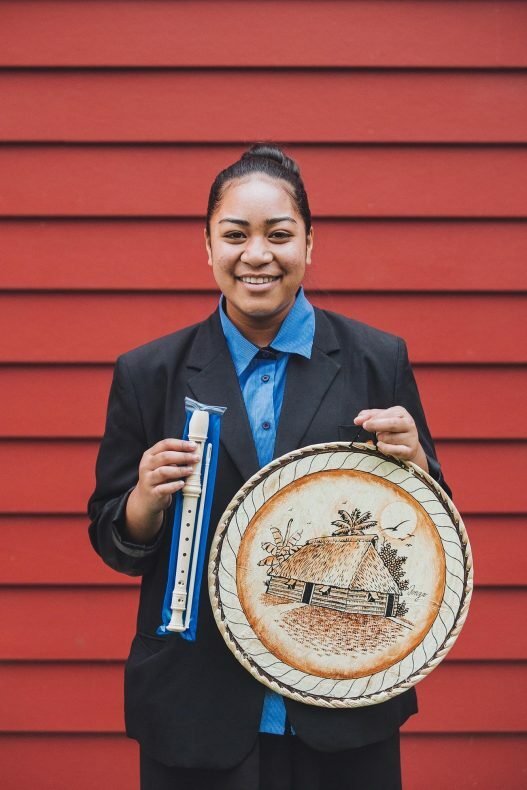 Back in 2014, our Pacific Cultures team took Year 13 Tongan language students from Sir Edmund Hillary Collegiate in Otara, Auckland on a back of house tour of the Pacific Cultures collection. Following the tour we ran a short activity where we asked students to brainstorm a list of objects for our collection that best represent their lives. Some students responded to gaps in our collection, while others suggested personal items such as their favourite music and clothing brands that pushed us to think more broadly about how we represent contemporary teenage life. For our new 2017 co-collecting initiative Pikipiki hama kae vaevae manava: joining our vaka to share our breath or life stories we decided to put this activity into practice and create a youth-focused co-collecting project. 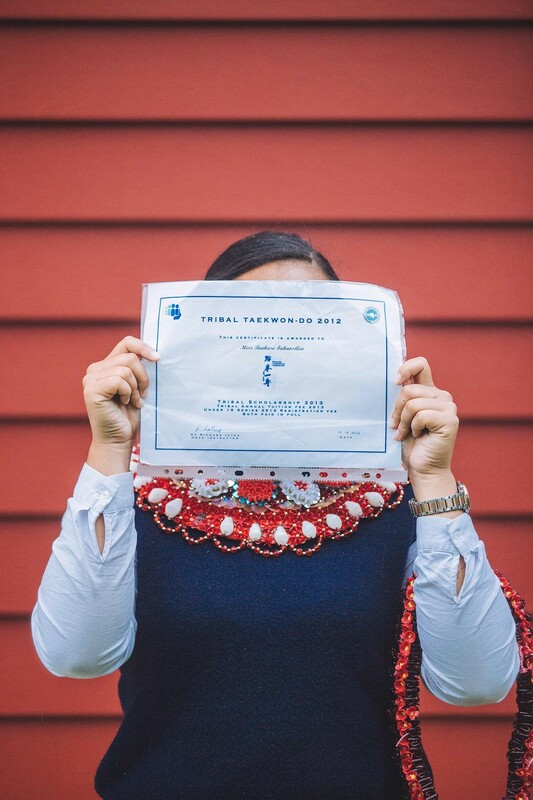 Given this history it was only fitting that we return to Sir Edmund Hillary Collegiate and the Year 13 Tongan language class to undertake this project. In February we held a two-day training workshop that aimed to demonstrate how collections and the museum can be meaningful spaces where their lives and experiences are valued. To achieve this our curatorial team had to acknowledge that the students came in with their own expectations about the kinds of objects museums value. In our attempt to reposition this, we designed a back of house tour of the Pacific Cultures collection that revealed the responsive nature of our collecting and how we are guided by our communities. We showed a number of objects from a monomono (Tongan quilt) made in America, to a pair of running shoes from a Samoan who walked the length of the country to raise money for charity. Of all the objects it was a small seashell from Tokelau that provided the turning point for our students. The seashell was picked up in Tokelau and brought to New Zealand in 1989 by Kupa Kupa, a member of the Tokelau community living in Porirua. During a trip to his home atoll of Fakaofo, Kupa looked for something to bring home that would help him feel connected to his homeland. He picked a seashell up along the edges of the lagoon close to his house. The seemingly ordinary seashell demonstrated how our collection makes important connections to places, people and experiences. Our students were so inspired by this object that they titled their co-collecting project, Project 83: small things matter. 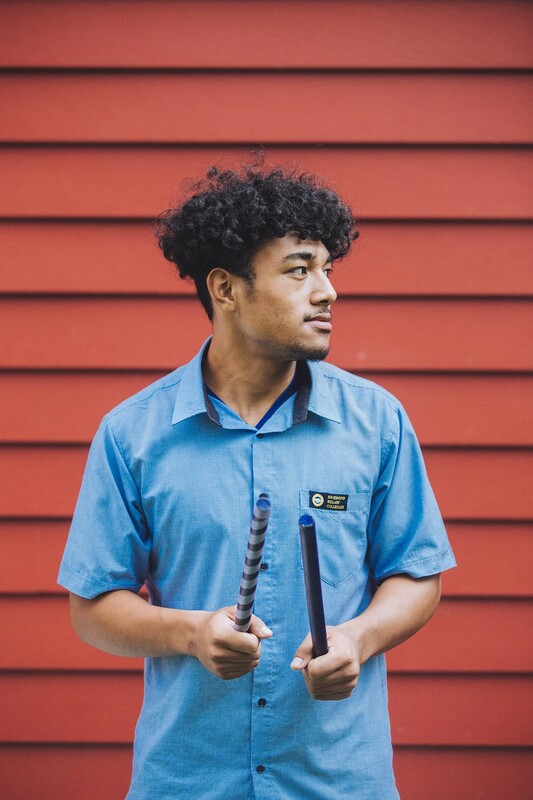 As self-titled ‘youth agents’ the students saw this project as an opportunity to truly ‘represent’ themselves and counter the stereotypical representations of their home town of Otara. The number ‘83’ represents their school ‘Hilary College’ taken from the position of the letters ‘H’ and ‘C’ in the alphabet. For our youth agents the name reflects the experiences and values they share as ‘Proud Otarians’. 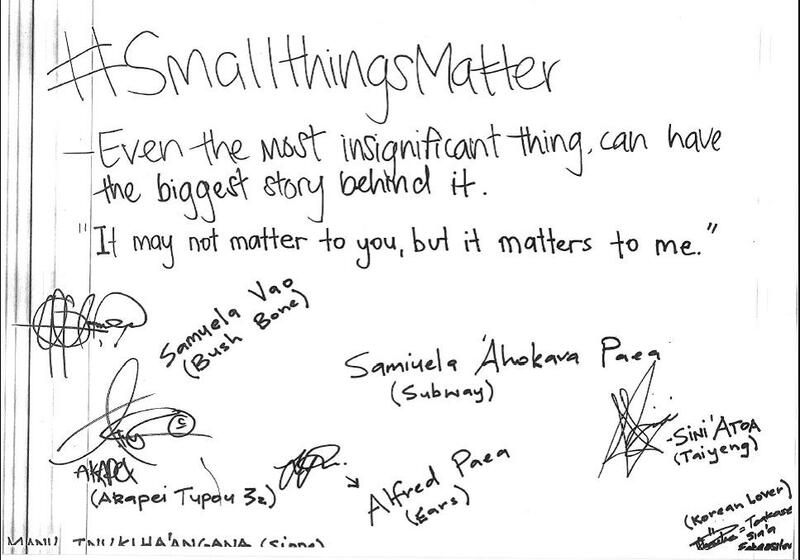 With their shared values in place, the students came up with the latter half of their title ‘small things matter’. For our youth agents this represented their commitment to ensuring each person has the opportunity to define and share what matters to them. Over the past few months our team has been visiting our youth agents during their Tongan language classes. These visits were discussion sessions where they shared their objects they would present to Te Papa and the associated stories they were documenting as part of their NCEA assessments. For our curatorial team these sessions have provided an invaluable insight into the lives of our youth agents, told through their objects and in their own voices. Here are a few of our youth agents sharing some of the objects they are collecting. “Tongan men don’t really know how to express themselves. There tends to be a gap between father and son. I look for ways to connect with my father, and this includes his family. “My grandfather’s village is known for two things; eating a lot of butter and drumming. I just recently found out about the drumming, I never knew that my grandfather could drum. Because he doesn’t really share things with me. I heard the story from my grandfather that we got drumming from Samoa, then it came over to Tonga. “I chose my trumpet because it’s very important to me, the first I’ve ever played. The case has drawings on it from when my dad forgot to pick me up. I didn’t have a phone, so I drew instead. Mālō ‘aupito David for your comments and for supporting our work with Sir Edmund Hillary Collegiate students. an amazing team of teachers especially their Tongan language teacher Maata Fusitua. Amazing work, this is what community led story sharing look’s like. Congrats Nina and beautiful pics Amanda. Mālō ‘aupito Michael for supporting the work of our Pacific Cultures team. 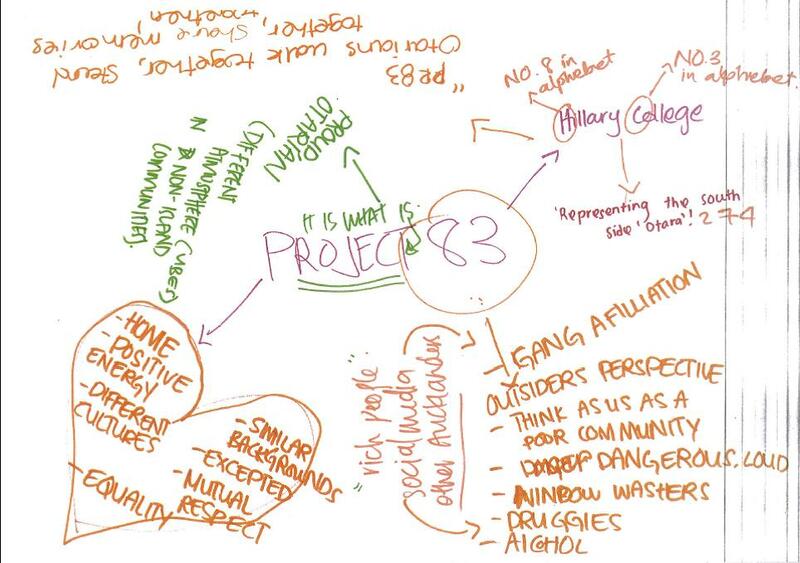 I agree, Amanda captured the stories of our youth agents so well. Inspired! I am in awe guys. Love it. Love this initiative to engage Pasifika Youth Agents! Awesome work Te Papa & Sir Edmund Hillary Collegiate! Si’oto’ofa Jan-Hai, mālō ‘aupito for reading our blog and taking the time to comment.